Back to Arashiyama, Kyoto city guide! It's one of the world heritages, but somehow, I missed it. 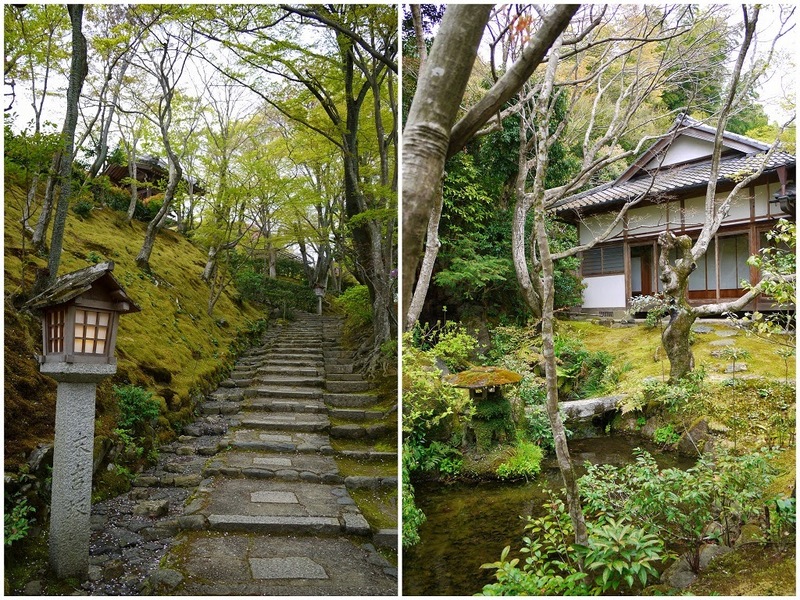 But there are still more interesting temples and shrines in Arashiyama. A cosy shrine in a famous bamboo woods. The contrast of bamboo and moth's green and gates' vermilion is beautiful. Nowadays it is dedicated the gods of baby, studying, and of course, love. People come here and pray when they want to have babies, when they want to pass exams, and when they want to have love partners. I often see girls praying there! By the way, I bought a amulet of the god of baby here for my friend who wanted to have a baby. She got one next year I bought it! The temple is on the slope of a mountain. It's a famous spot of autumn leaves, and that beautiful view with autumn leaves made the name of the temple. The temple was built in the 9th century. Back then, the area was a place for aerial sepulture - the exposure of dead bodies to the wind and rain. A high priest came and gathered the bodies, and built this temple dedicated to the spirits of the dead. In 1903, people gathered thousands of statues of Buddha, which were neglected tombs scattered around the area, to memorialize the souls of the dead. The view with thousands statues is absolutely solemn to reconfirm the preciousness of life.